Treadmills are one of the easiest to use, but yet still sophisticated pieces of fitness equipment. They are specially designed to make life easier for you and to allow you to get workouts from the comfort of your home. The best cheap treadmills for running will certainly give you this opportunity in an affordable way and help you improve your fitness and overall health. 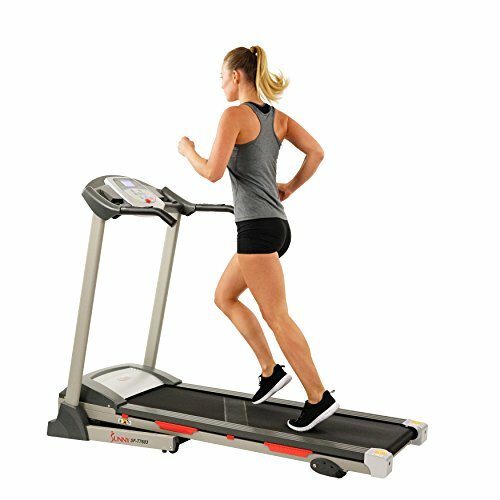 We have decided to look at the top treadmills for running and we have chosen the most affordable ones that we could find. This will help you save time and money, but before we simply dive into the list of top treadmills for running, there are a few things that you will need to look for when you are buying a treadmill. This buyer’s guide should help you to get the best possible value for your money and also tells you exactly which features you should spend the most time looking at. The treadmill is a little different than most of the other pieces of fitness equipment that you will find on the market. Since comfort is not really a real part of it, there are a few other important aspects and features that you will need to look for. Motor: The motor of the treadmill is basically the driving force that keeps it going and allows you to reach certain speeds. When selecting a treadmill, you will generally look for the most powerful and less noisy, but these can drive up the cost very high. The motor usually has a power output and everything above 3.5 CHP is considered to be in the high-end spectrum. We recommend looking for a good treadmill with a motor that is around 2.5 CHP as this will still give you decent speeds. 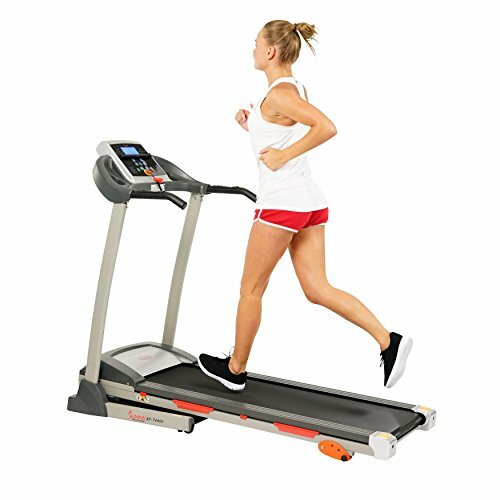 Tread belt and Shock Absorption: The tread belt is a fundamental part of the treadmill and this is the part that you will be running on. If the tread belt is not wide enough, you might not be able to run freely and you can even feel claustrophobic. The shock absorption technology is another part of the treadmill that you should be looking at. Since your whole body will be moving on the treadmill, your joints might take a pounding if the treadmill does not have any way to reduce the shock. If you have joint problems, you should certainly spend some time focusing on this part before buying. Built-in programs: The better your treadmill is designed, the more special features it will have and these features will also include a few professionally designed fitness programs. If you only feel like running, this might not be important, but we believe that the programs will definitely keep things fresh and also give you new motivation every time. Console: The console is the brain of the treadmill and this is where every stat is tracked and also every part of the treadmill is controlled. The console should be clear and the stat tracking should be easy to read. Once you have this found, the console should definitely be perfect for your workout needs. Assembly process: This is something that many people neglect to look at and they simply just buy the treadmill. The assembly process can actually be expensive if you have to get a professional in to do this. We recommend looking for one that is easier to assemble, with fewer intricate wires and connections. You will also have the opportunity of choosing between the folding and upright treadmills. Warranty: Treadmills must, unfortunately, be serviced and this is a timely and expensive process. The process of replacing the broken parts might even be more excruciating and this is where a decent warranty can be very helpful. The better the warranty, the more money you will save on things like services and even the occasional part if something does break. These 6 features are the most important that you will need to look at when you are purchasing a treadmill. Once you find an affordable treadmill with all of these features, you should definitely take it and you will be happy for a long time. The weight limit is also important, but we have not included it as most treadmills do have decent weight limits. Sunny Health & Fitness has always been known for the quality of their products. 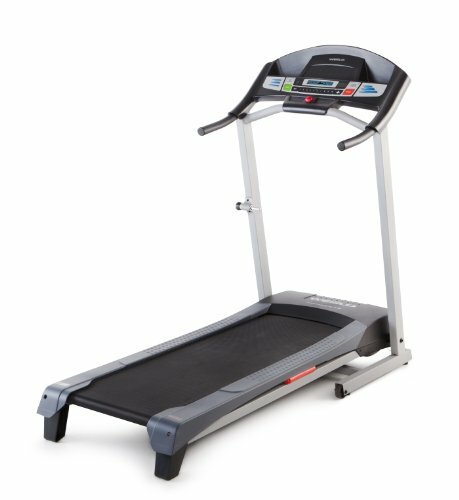 This treadmill is another highly effective, but still durable treadmill that you will be able to pick up for an affordable price. Design and Power:The treadmill features a decent 2.20 HP motor and this should definitely make life easier for you when you are aiming to reach those higher speeds. The tread belt is also quite wide and this will make it much more comfortable for you to run on as you begin your journey into weight loss. This treadmill is quite detailed to assemble, but it can also be folded, which means that you should be able to assemble it from home with the right tools. Console: The treadmill also features a large LCD display system that will keep track of all your stats. This should make it easier for you to stay in control and keep an eye on the progress you have made. The treadmill might not have an internet setting, but it does have a place for you to place your iPhone and tablet if you feel like streaming any videos. Finally, the console will also put the power in your hands when it comes to giving you ultimate control and you will be able to choose from three levels of incline to ensure that treadmill is perfect for your running needs. Assembly and warranty: This treadmill can be self-assembled if you do have the right tools and skills. If not, you can have an expert come in and do the assembly, but this will be a very expensive thing to do and these expert do charge quite a hefty fee. This treadmill will certainly be worth the price and you can be sure that you will get your money’s worth. We would highly recommend this treadmill for the affordability and the decent durability it provides. The Weslo Cadence G 5.9 treadmill is a decent small treadmill that should be perfect for every home. The treadmill is definitely one of top selling treadmills for a reason and will be a great steal for anyone looking to get into fitness. Design and Power: The treadmill features a decent 2 CHP motor and it is also designed to allow you to save as much space as possible. This treadmill can be folded up and packed away when you are done, which will not take up all the space in your living area. The tread belt also contains comfort Cell cushioning technology and this will ensure that you do not have to deal with all of that fatigue and strain that is put on the joints. Console: This treadmill has been designed with a blue-tinted LCD display system. The LCD display system might not be the most detailed or fanciest of display systems, but it will definitely still give you a clear indication of your stats and the progress you have made. The console will also allow you to choose any of the 6 built-in programs, but to adjust the incline, you will need to get off and do this manually. Assembly and warranty: While you will still have the option to get an expert for the assembly process, there shouldn’t really be any need. The treadmill can self-assembled if you have the correct tools and this should not take you too long to do either. 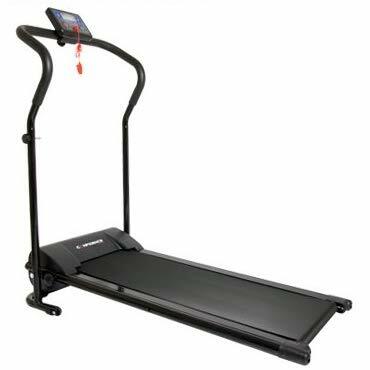 The Sunny Health & Fitness SF-T7603 Electric treadmill is our best buy treadmill and it is not only designed by one of the top brands, but it is also backed by a great warranty and the trust of a good brand. The treadmill is also completely electric in every aspect of the word. This treadmill includes a decent 2.2HP peak DC motor that will allow you to reach great speeds of up to 9MPH. The running surface on the treadmill is also quite large at 16 x 49 inches and the treadmill itself can easily be folded up and stored away when you are expecting guests or need to clear some space in the living area. The console is quite decent, but the display is basic and you will be able to see only the basic stats like the heart rate and the speed that you are traveling. Since the entire treadmill is electric, you will find that everything can be controlled from this console. The incline levels can easily be set up as well. To keep you excited, the treadmill includes 9 different programs and these programs are all designed by professional personal trainers. Unfortunately, self-assembly is not recommended when you are using this treadmill. The treadmill can be self-assembled if you are good with assembling electronic items. But since this treadmill fully relies on perfect connections, we would suggest that you rather get in an expert to help you. We have chosen this treadmill as our best buy option and this is due to cheap price tag and the great versatility it offers. Compared to many similar treadmills, this one has more programs and it is much more versatile. Also check: Top 21 Best Running Blogs On The Internet! The Ancheer S8400 Electric treadmill is a good treadmill for those who are highly concerned with the warranty. The treadmill is also electric and all of the components can be electrically controlled to make life easier for you when you are running on it. Design and Power: This treadmill features a decent but still relatively powerful 1.5 HP motor and this motor might not be the biggest, but it will certainly still help you to get those results. The treadmill is also foldable and you can simply pack it away when you are done. This design is actually solid and we consider it to be very durable for the price. Console: The console on this treadmill is very basic and you will definitely be getting all of those important stats that you need to see. The console is very small, but the display is decent enough for you to keep a good clear eye on your progress. It also features 12 built-in programs and these programs will be ideal if you are looking to shake things up every now and again. Assembly and Warranty: This treadmill might seem as tough to assemble as you might think, but because almost everything is controlled by the electric motor, you can easily have some problems if you do not correctly assemble the treadmills. The treadmill includes a 2-year part and 3-year motor and engine warranty, which should keep you insured for a while. This treadmill is definitely worth the price if you are looking for something small and affordable that will give you great versatility. The treadmill is also backed by a great warranty and you will definitely be getting your money’s worth. Last but certainly not least, we have the Confidence Power Plus Motorized Electric Treadmill. This treadmill is one of the cheapest treadmills, but it is still highly regarded and will be a great option thanks to the immense durability it offers. Design and Power: The treadmill features quite a large design and might not be perfect for those looking to save some space. The 600-watt motor will definitely give you enough power to use when you are running on it and the grip handles on the side will elevate the overall comfort of the treadmill. This treadmill is actually very lightweight and it only weighs 53lbs. Console: The console is quite small and basic, but it will still be capable of tracking the basic stats. The console is very easy to adjust and you will be able to see how you progress. Everything can be controlled with the console. Assembly and Warranty: Since everything is electric, this treadmill will be a little harder to assemble and it can be quite confusing to even the best of assembly experts. We recommend that you consider using an expert to ensure that everything is perfectly in place and your treadmill is ready to be used. The warranty is quite basic and you will definitely need to spend some time to ensure that your treadmill is on point with its services. We would definitely recommend this treadmill for the price and we also believe that you will certainly get your money’s worth when you do decide to make the investment. The treadmill is also really cheap and we would recommend this to anyone looking to save space or if you are not yet sure on how to buy a decent treadmill. Also read: Nordictrack C700 Vs C800 – A Thorough Analysis! We would like to thank you for reading this article and we certainly do hope that you have managed to find a great and affordable treadmill that will meet your running needs. The best cheap treadmill for running is definitely not as fancy as the high-end treadmills, but it is still extremely functional. In terms of recommendations, we would like to recommend the Sunny Health & Fitness Treadmill for their attention to detail and the quality of their treadmills. If you think we might have missed any of your favorite cheap treadmills for running, please let us know in the comment section below and we will be sure to check them out.